So, on the occasion of the 40th anniversary* of the release of the Christopher Reeve Superman movie, it’s worth noting all the maple syrup that does run in Kal-El’s Kryptonian blood. 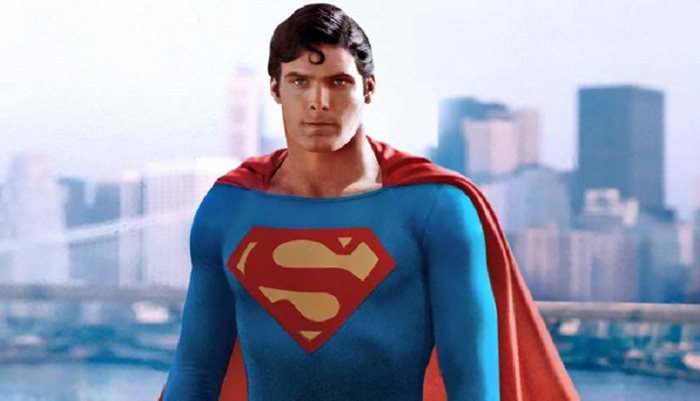 “Obviously, the Alberta landscape does mean a lot to me every time I see those movies,” says Calgary-native Cameron Maitland, the erstwhile filmmaker and film-writer who is the in-house expert for the Hollywood Suite cable channels (where Superman is airing this month as part of a free preview December). 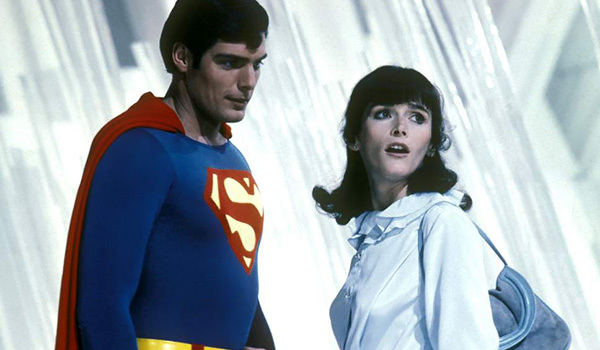 “Superman was a big deal to Alberta filmmaking. It and (Terrence Malick’s) Days of Heaven happened there in the same year.” And Superman producers Ilya and Alexander Salkind were ahead of the curve in utilizing Canadian tax breaks and locations to their fullest. More on that later. But the Canadian content in Superman begins at the beginning, with Joe Shuster (cousin of Wayne & Shuster’s Frank and uncle/cousin-once-removed to original Saturday Night Live writer Rosie). Joe moved to Cleveland in his teens, but already had images in his head of the character and environment that he would co-create with Jerry Siegel for Action Comics #1 in June, 1938 (a Superman 80th anniversary to go with the 40th). To be fair, both Toronto and Cleveland back then had skylines dominated by the muscular late 19th and early 20th Century “Chicago School” of skyscraper design. “I think the consensus is, it’s a big mix of both. But the building everyone says they can see in those first few issues is the Royal York Hotel. And then, of course, there was reporter Clark Kent’s place of employment, which started out as the Daily Star, and later became the Daily Planet. “That part, you can 100% attribute to Toronto, just by the fact that Cleveland never had a paper called the Daily Star and Toronto did,” Maitland says. Flash ahead 40 years, and Metropolis would be Calgary, Lois Lane would be a hard-nosed, hard-smoking reporter played by Yellowknife-born Margot Kidder, and Jonathan Kent, the kindly old Kansas farmer who raised the alien boy whose capsule crashed in his field, would be played by Glenn Ford, a native of Sainte-Christine-d’Auvergne, Quebec. “And in Superman 2, you do get to go to Niagara Falls, on the Canadian side. Unabashedly, they show Canadian flags. I rewatched it recently partly because in my mind, I remembered it being on the Canadian side, and it was. Lois and Clark are researching some sort of scam in Niagara Falls where they’re pretending to be a couple on a honeymoon. Superman’s Canadian connection doesn’t end with the Christopher Reeve movies. Writer/artist John Byrne, an alumnus of the Alberta College of Art & Design in Calgary, rebooted Superman for DC Comics in an incarnation clearly influenced by the movies. And perhaps the most Canadian of all was Smallville, which shot in B.C. for 10 seasons, and – beyond Tom Welling as Clark and Michael Rosenbaum as Lex Luthor – had a plethora of Canadians in key roles, including Kristen Kreuk as Lana Lang, Erica Durance as Lois Lane, Laura Vandervoort as Kara Zor-el (yes, Supergirl) and Aaron Ashmore (twin brother of X-Men’s Shawn Ashmore) as Jimmy Olsen. *Superman premiered at the Uptown Theater in Washington, D.C. on December 10, 1978, with director Richard Donner and several cast members in attendance. Three days later, on December 13, it had a European Royal Charity Premiere at the Empire, Leicester Square in London in the presence of HM Queen Elizabeth II and Prince Andrew. It opened in general release on December 15, 1978.